While Medicare Part A and Part B (which is also commonly referred to as Original Medicare) can provide benefits for a long list of hospital services and other medical needs, unfortunately, this program can also leave many “gaps” in its coverage. These come primarily by way of deductibles, copayments, and/or coinsurance costs. If you are a frequent traveler – and particularly if you venture outside of the United States – Medicare Parts A and B coverage is also extremely limited. For example, in most cases, Medicare will not pay for healthcare or supplies that you receive outside the U.S.
That means that if you are anywhere other than the 50 U.S. states, or the District of Columbia, Puerto Rico, Guam, the U.S. Virgin Islands, American Samoa, or the Northern Mariana Islands, you could be unprotected when it comes to your Medicare coverage. And this could equate to substantial out-of-pocket costs if you need health care. If you are covered under Original Medicare, then you will still have access to medical care from almost any doctor or hospital in the U.S. and/or its territories.3 However, beyond that, Medicare coverage while traveling in a foreign country is sparse, with just a few limited exceptions. There is one way to help ensure that Medicare enrollees receive additional coverage while traveling outside of the U.S., though. That is through the purchase of a Medicare Supplement insurance policy. But, before you buy this type of coverage, it is important to understand that not all Medicare Supplement plans are the same. What Does a Medicare Supplement Plan Cover When You Travel? There are actually ten different Medicare Supplement, or “Medigap,” plans that are available today. Each of these plans is named after a letter of the alphabet, with Plan A offering the most basic set of “core” benefits. While Medicare Supplement Plan A does not offer benefits for foreign travel, there are other plans that do, including Medigap Plans C, D, F, G, M, and N. In addition to these, if you currently are covered under Medicare Supplement Plan E, H, I or J, you also have foreign travel emergency coverage, even though these particular plans are no longer available for sale for new purchasers. If you go with Medicare Supplement Plan C, D, F, G, M or N, foreign travel emergency care will be covered, as long as the condition being treated in a non-U.S. hospital began within the first 60 days of your trip, and your care would not otherwise be covered under your Original Medicare benefits. With any of these Medigap plans, you will be covered for 80% of the billed charges for covered care. However, there are a few criteria that must first be met. One is that the care must be medically necessary. You will also need to have met an annual deductible of $250. 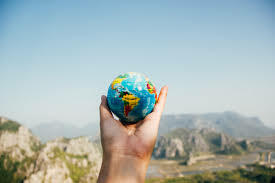 The most comprehensive of these Medicare Supplement insurance plans – where up to $50,000 in foreign travel benefits may be provided – are Plan F, Plan G, and Plan N. In addition to foreign travel benefits, these plans also provide a wide range of coverage for Medicare Part A and B’s other coverage gaps. So, depending on your healthcare needs, enrolling in any of these plans could end up saving a great deal in out-of-pocket expenses each year. But, even though these Medicare Supplement plans cover a wide range of options, there may be some cases where a Medigap policy isn’t the best alternative at all, and a stand-alone travel insurance policy would be the more appropriate alternative. With all of the coverage options that are available in the market, how do you go about creating a plan that best fits your specific needs? One strategy is to work with an independent Medicare Supplement plan expert like Bluewave Insurance who can provide you with a number of different alternatives and premium quotes from top-rated Medigap carriers – and will do so in an unbiased manner. In going this route, you will be able to choose the plan that works best for you and for your budget. 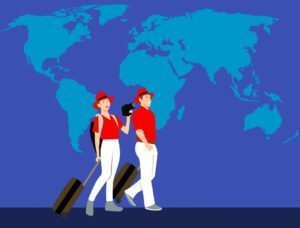 If you’re ready to move forward with securing the foreign travel benefits you need in order to feel secure around the globe, just for more details. Call us for a free quote comparison at (800) 208-4974 today!